SM Infinity™ is revolutionary cloudware to control and create digital advertising from any remote internet connected platform (PC or MAC) to any digital display regardless of the display manufacturer. "No one should ever have to use proprietary software from large national billboards to the local business in your town.” Paul Martin, Director of Marketing for Vantage LED. Spectacular Media has launched their revolutionary cloudware: SM Infinity™. This powerful software resides in the cloud giving clients the power to control their digital display, or network of digital displays, from any internet connected platform (PC or MAC), regardless of the display manufacturer. The SM Team collaborated with software engineers at Vantage LED, a US Based LED Display manufacturer, to formalize the final overall system design and execution for the initial launch. This premier launch includes three core features: Cloud Control, Content Creation and Universal Compatibility. 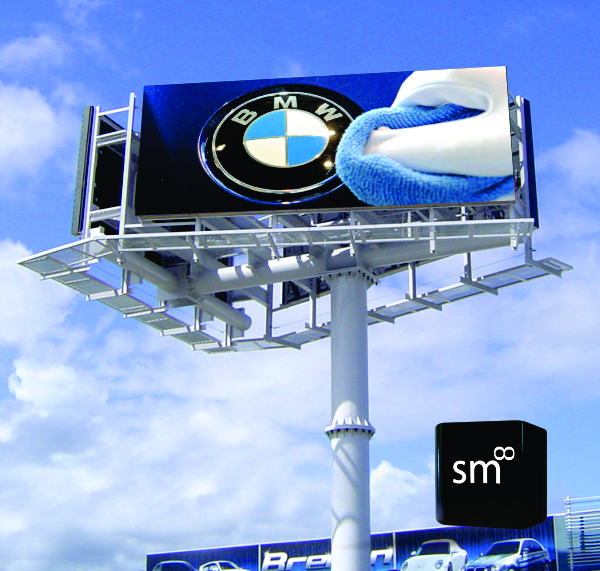 “We run our network of billboards with the SM Infinity platform. With the power of the cloud, we can update instantly from any location, which is vital in this market. Plus, with our platinum service, our displays "check in" regularly with diagnostic updates through SM's Command Center.” states Alfredo, Exterior Media, PR. “I would recommend it. There is so much valuable time you can spend in other areas of your business. It's just a good investment. 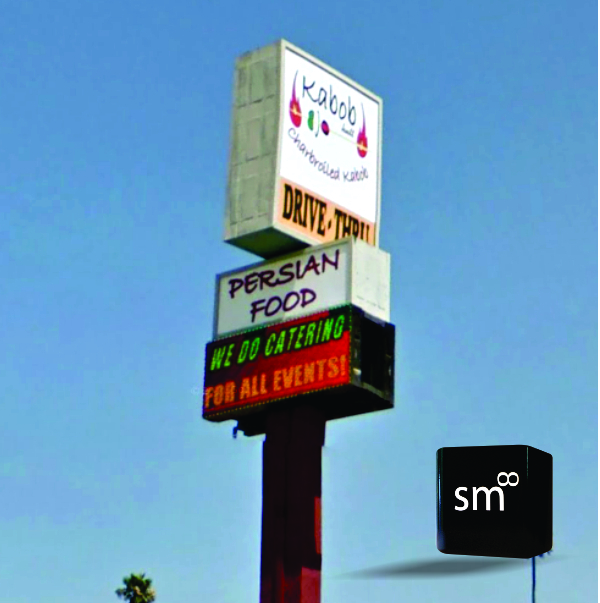 We just request graphics through the internet, wherever we are, and it's done within 24 hours.” exclaims Lisa Abdi, Kabob Hutt, CA. She adds, "After a week, we have seen a trend in clientele and increased business." “We’re excited to handle this initial rollout of SM Infinity™. It has been the demand of the LED Sign Industry for years. No one should ever have to use proprietary software from large national billboards to the local business in your town. Our collaboration with SM has been exhilarating.” exclaims Paul Martin, Director of Marketing for Vantage LED. SM Infinity™ is now available starting from $100 per month (retail $375). Learn and Use SM Infinity™ today at http://www.sminfinity.com. Today, we see a rough relationship between the typical Establishment and the Patrons (ie: the pizza shop and the people who love pizza, the church and the people who love God, or the car dealer and the people who love to drive). We want to create a perfect synergy between these 4 elements: the Establishment and their Patrons; their Advertising and their Digital Display. Spectacular Media (the 5th Element of Digital Advertising) is a software savvy, social advertising company based in Corona, CA. With the premier release of Infinity™, cloudware for comprehensive digital advertising, we aim to meet the advertising demands of the LED digital display market (and more) creating a perfect synergy between the establishment and patron.